Federal, state and local law enforcement agencies use Amazon Web Services’ cloud computing region designed for the U.S. government to manage critical justice information workloads. 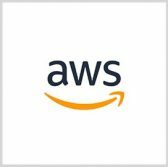 AWS said in a blog entry posted Tuesday its GovCloud (US), CloudTrail, Key Management Services and CloudHSM services work to help public safety organizations protect CJI data. GovCloud allows customer agencies to comply with the International Traffic in Arms Regulations, the Federal Risk and Authorization Management Program and Federal Information Security Management Act of 2002. AWS’ technology partner PDEvidence also uses the platform to offer services intended to simplify evidence and laboratory gathering and processing operations. The cloud company also partnered with CJI service systems and contracting government agencies to define contractor requirements to the CJIS Security Policy for public and private sector entities serving civilians.